Vehli Janta Records are proud to present the brand new single released by Gopi Waraich entitled “Uchhe Kirdar“, music by MixSingh! Mankirt Aulakh is finally back with his highly anticipated brand new single entitled “College“, music by MixSingh!! Speed Records/Times Music are proud to present the eagerly anticipated brand new single released by Veer Inder entitled “Rishte“, music by MixSingh!! 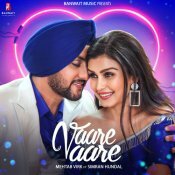 Banwait Music is proud to present the brand new single released by Mehtab Virk entitled “Vaare Vaare” featuring Simran Hundal, music by MixSingh! ARE YOU MixSingh? Contact us to get a featured artist profile page.